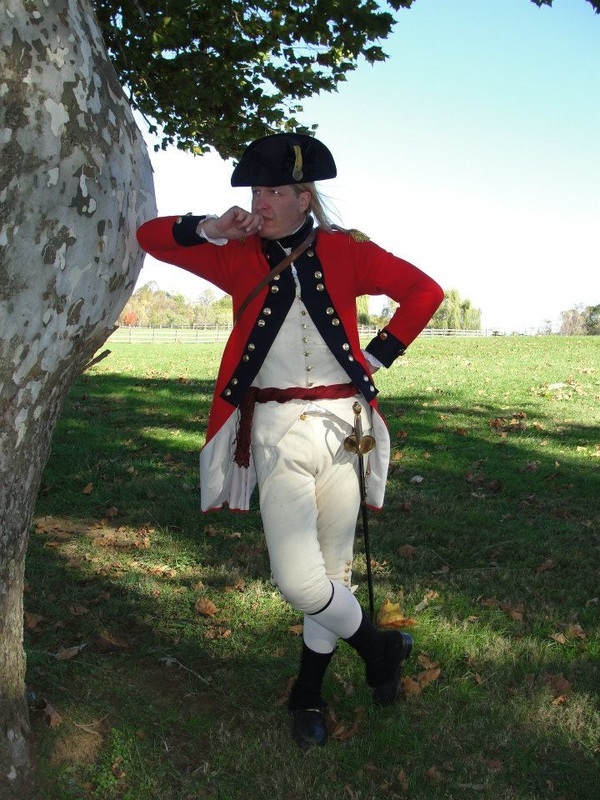 The uniforms of officers during the period of the American Revolution were regulated by the Royal Clothing Warrant of 1768 as well as by the regiment's colonel. Officer's uniforms coats were carefully tailored and made of very high quality fabrics such as superfine wool. This captain wears his field frock which has plain buttonholes, and paired gold buttons. As an officer in a fusilier regiment, he wears two gold epaulets instead of one. It was common during the period for the officers to have a dress uniform as well as a uniform for wear in the field.